A few weeks ago distinctive wooden chalets started to arrive and fill the streets of our city. Son noticed straightaway and from then on has been lobbying hard to visit the Christmas markets. 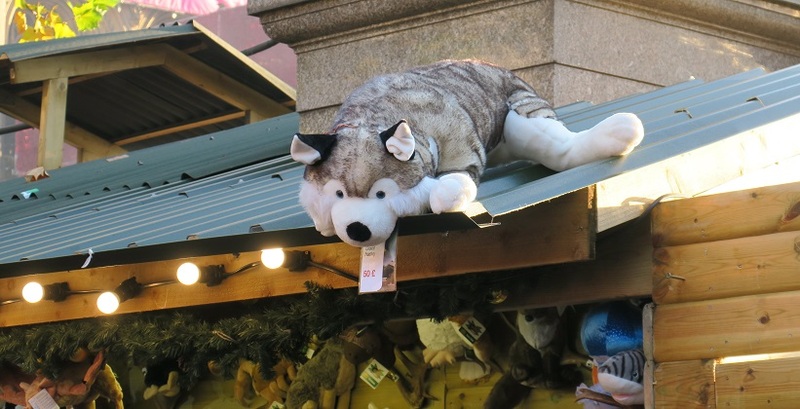 My position is to hold out until at least the first weekend in December, after that resistance is futile and the Christmas markets become part of our festive calendar. 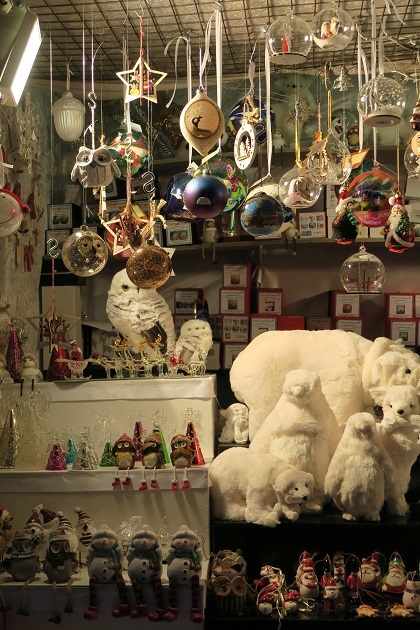 They are here for five weeks, plenty of time to browse, soak up the lovely atmosphere and get the Christmas mood underway. I remember back in 1999 Husband and I browsing the 15 stalls run by some German people in one of Manchester’s main squares. That was hugely successful, the German stall holders returned and kept returning year after year. In those days we used to travel to Germany for a long weekend in December to visit the German markets. 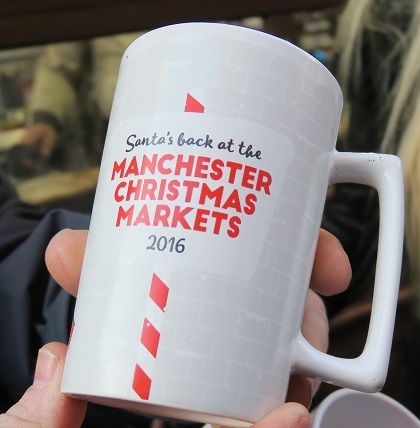 Nowadays we don’t do that – spoilt here there are over 350 stalls in 10 key locations and the Manchester Christmas Markets are amongst the largest in the UK. 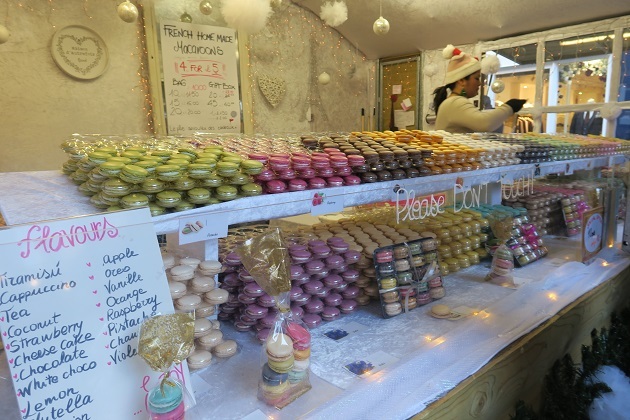 Stall holders travel from Germany but many other countries as well – paella, macaroons and many other food offerings feature. Strolling around this year it really did feel as if the markets take over the city, they wind their way through most of the main streets and all of the squares. Our first stop was Albert Square. This is the hub and right at the heart of things. Lots of stalls, much delicious food on offer but also so crowded and literally a sea of people – the downside of visiting on a weekend, I was adamant we wouldn’t do that again. This is always the busiest spot but I have to admit on a Saturday afternoon it was unbearable. 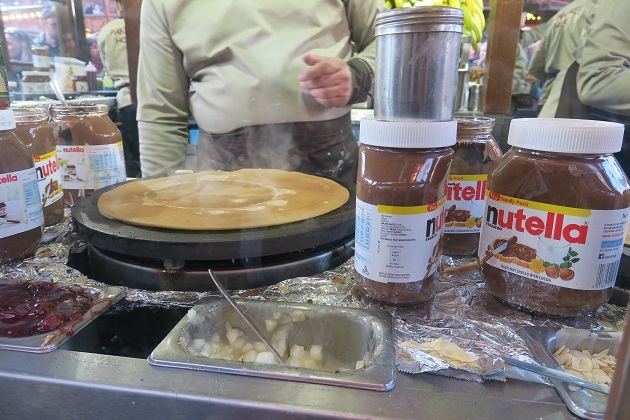 Son has his favourite pancake stall – we visit year after year, it has become a tradition now and this year was no different. Pancake scoffed we just wandered, remarking how every year the markets seem to get bigger. 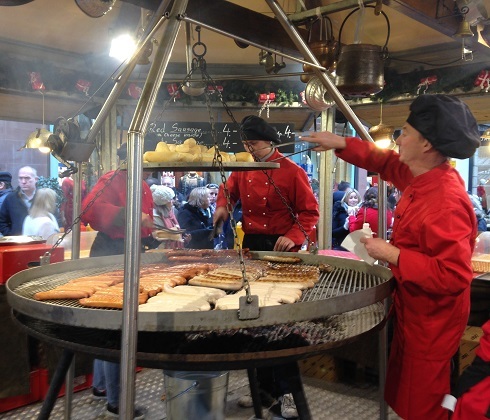 There are all sorts of festive goods on offer but for us it’s more about soaking up the atmosphere and trying the food. 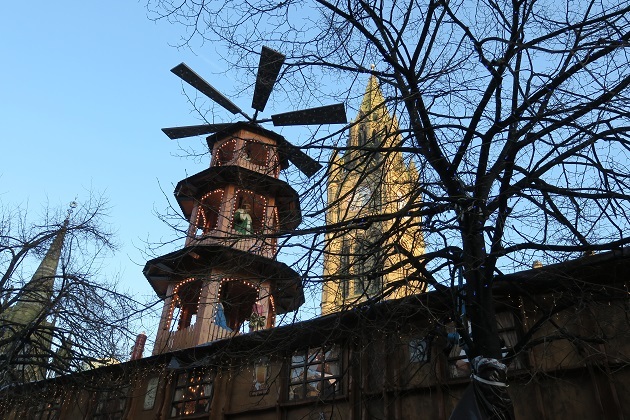 The smell of Bratwurst, Gluhwein and gingerbread fill the air wherever you go – avoidance is not an option. We left the markets as it was getting dark, they become even more magical with all the twinkling lights. 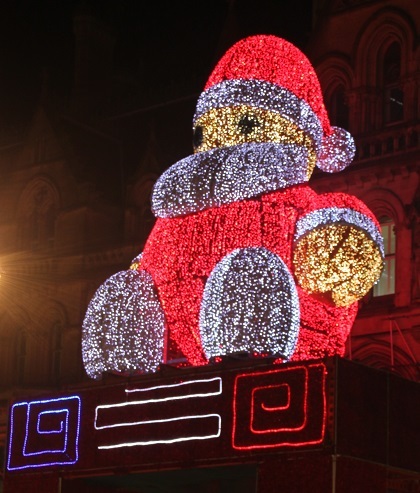 Every year a giant Santa takes up position on top of the Town Hall roof and watches over the proceedings – he looks great in the dark too…. A highlight of the Christmas build-up for us, we will be back to the markets several times before Christmas – just not on a weekend. What a wonderful holiday tradition. There’s nothing like that here. Thanks for the photos. Happy Holiday Season! It really is such a lovely thing to do in the run up to Christmas – we love sampling the food and soaking up the atmosphere which is always great! Happy Holidays to you too!! Lovely – we will be heading there too! I just love being so n Manchester at this time of year! It’s so much fun, even with all the crowds we still love it! We went today as well – a bit of a sneaky afternoon while our son was at school but it was a completely different experience. Still quite busy but nothing like a weekend visit!! Hope you enjoy your visit too! That market looks fabulous! Like you, I enjoy browsing and soaking up atmosphere at such events more than shopping – except for food. 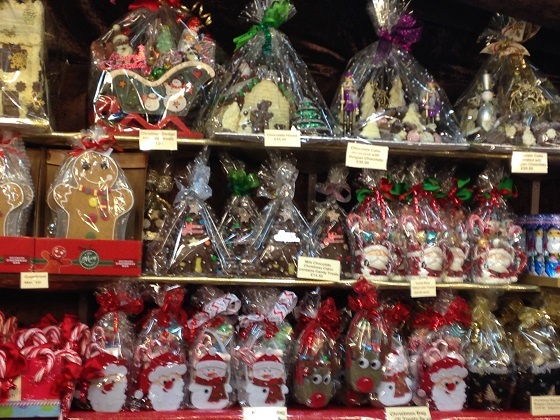 We went to the market in Philly last year and plan to go again this festive season. It’s small but growing. It’s a fun focal point for a trip into the city though. This one started off really small too but every year it grows a bit more! 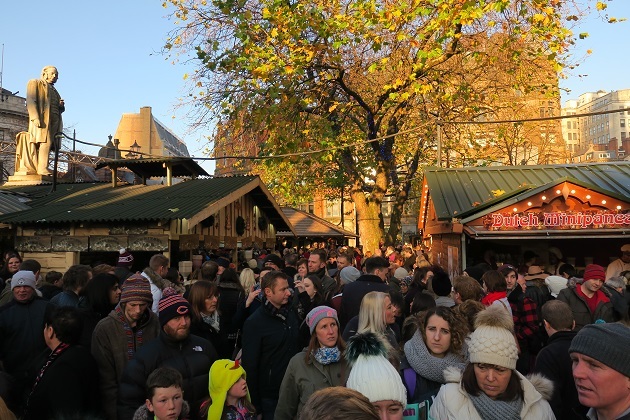 The food offerings here are incredible now, we love it – I just think a Christmas market however small is a lovely thing to do in the run up to the festivities! 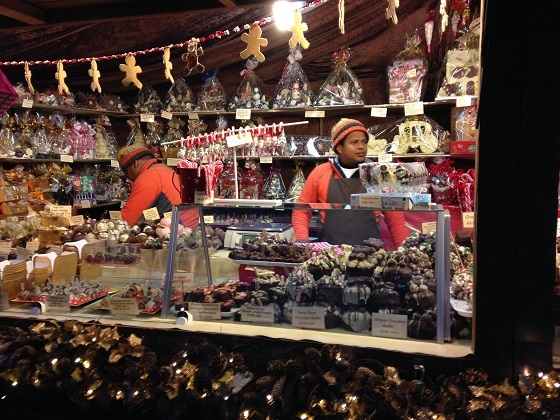 So one doesn’t have to go as far as Germany to take in a European Christmas market! I have relatives nearby so I’d be tempted to try Manchester instead. Great pictures you have of all of the offerings. 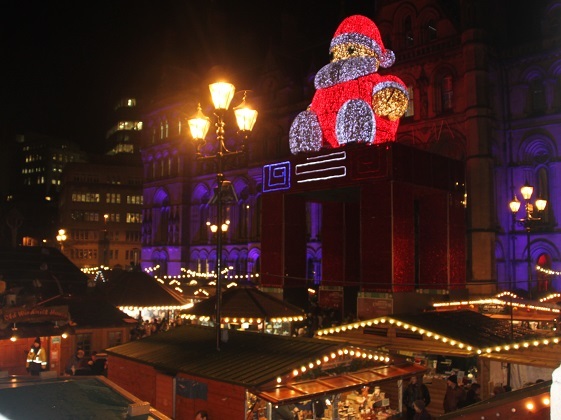 Manchester is really a great alternative to the German markets, it started off really small but now takes over the whole city and is wonderful – just to be avoided on weekends! 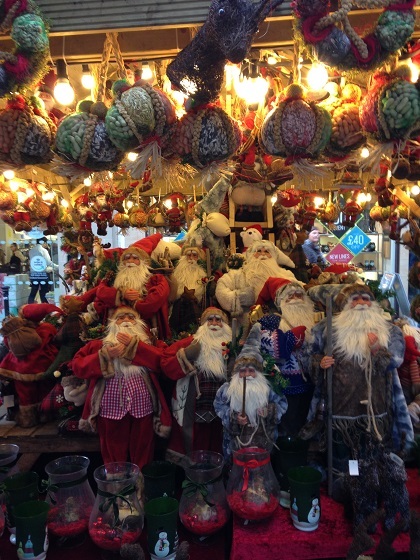 We used to try and travel to Germany every year in December to take in the markets, now we never do…. 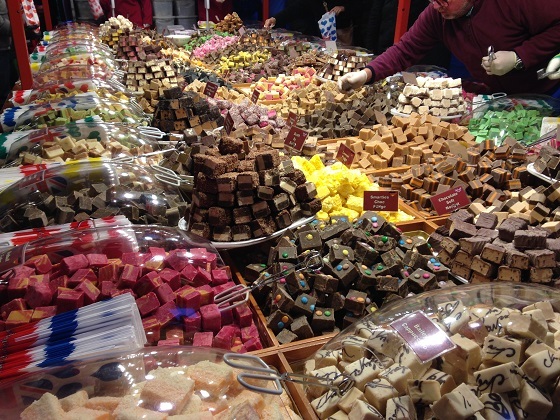 I really think the Manchester markets compare and are definitely worth a visit especially if you have relatives nearby! It is such a fun thing to do in the run up to Christmas, we feel very lucky to have these wonderful markets on our doorstep! 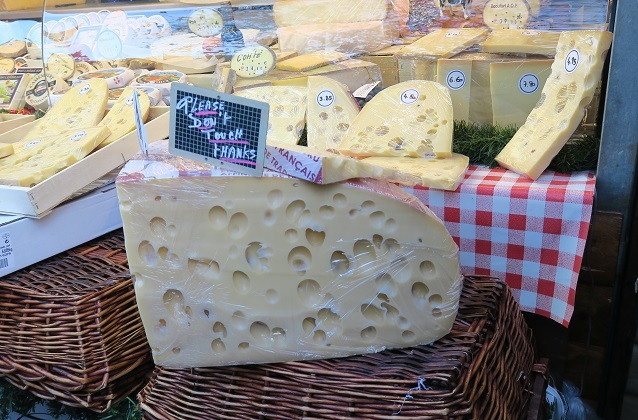 We have a smallish market in Glasgow – Edinburgh’s is quite a bit bigger, though not as big as this. We were through at the National Gallery the first weekend the market opened and had a walk around but it was horribly crowded. I get quite claustrophobic in the press of people. We’ll be going over to another exhibition soon, but on a weekday so I’ll probably be able to enjoy the market more. I’m not even claustrophobic really but in this sea of people I couldn’t bear it!! We did visit again on a Friday afternoon and although still busy it was nothing like the weekend. Hopefully you’ll find that happens for you too at your market visit Anabel. 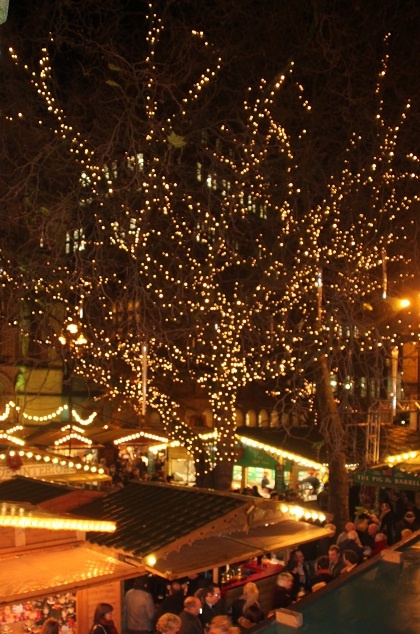 Fantastic, This looks so much better than any of the other Christmas markets we’ve been to in the UK. It really is a great market Clare, I think it definitely compares with any we’ve been to in Germany. 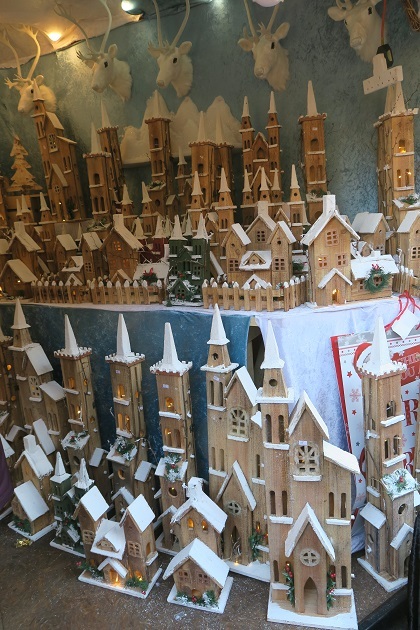 Every year it gets a bit bigger too so there’s always something new – we’re spoilt, we’ve never felt the urge to visit any of the other Christmas markets in the UK. 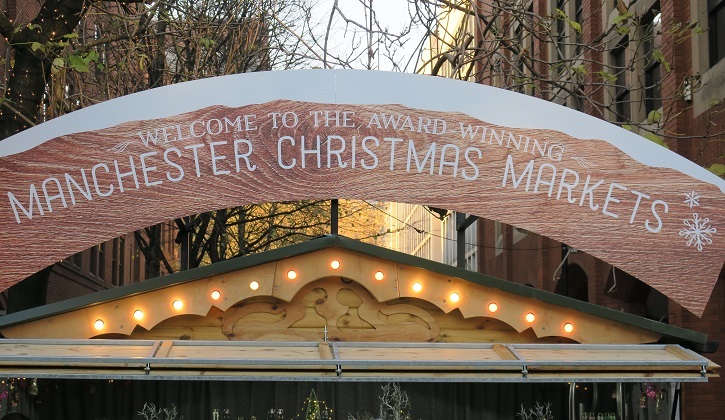 I remember going to the Manchester Christmas Markets with my mum and sister growing up, always a lovely atmosphere and so much going on. I went over for the day from Leeds last year and as always enjoyed browsing the stalls and picking up a souvenir mug!! I have so many of those mugs I have had to resist the urge for any more – no place to store them now!! The markets are great in Manchester despite the crowds! That is an issue after a while! I tend to just keep them if the deposit is no more than £2 or so; in Alsace there were plastic cups rather than mugs which was unusual. Here in Lyon it’s just throwaway cups so no collectables! I would have to go back multiple times also just to see it all and taste everything there. We do Terry!! You can’t help yourself – all that tempting food…. it just has to be tried and sampled as much as possible. How wonderful–what a terrific way to get into the spirit of the holiday! But I’m with you–go on a weekday! We visited last week on a Friday afternoon, such a difference – that will be my plan from now on Kerry! Ok, I’m reading this while power walking on the treadmill at the gym and I came hungry – now I’m starving!! All looks amazing especially those pancakes. I too don’t like to do this kind of Christmas activity until December has started :). Oh the food… don’t get me started, there is just so much deliciousness on offer you have to be restrained!! We go back several times for much sampling! We haven’t been for a few years but they look like they’ve really expanded! It seems like they grow a bit more every year! They take over most of the city now, but I like that, busy and hectic but a lovely Christmas tradition now for Manchester. It’s actually not so cold here this weekend Rosemary – not good at all – dark, dreary and damp. I love the weather in December to be icy cold with blue skies, we’re not seeing so much of that!! 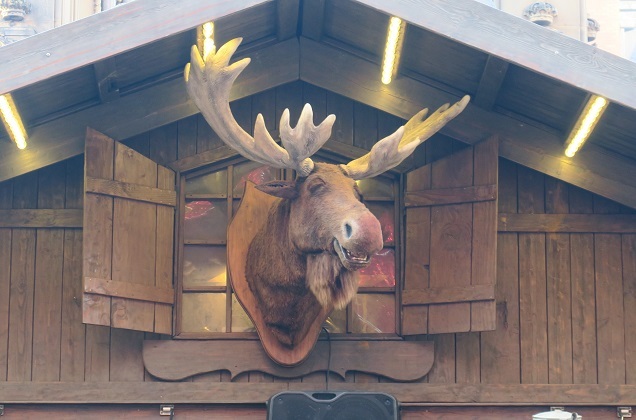 The Christmas markets don’t lose their appeal though, we went again on Friday afternoon and had a lovely time. Hope your daughter arrived safely and you enjoy her visit! Yes she’s here safely thanks Joy – much excitement from her 2 little nieces (our granddaughters) at the airport as we watched the plane land (and it was late of course, which increased the anticipation!). Lovely to have her home for a while!! Yes know what you mean about that type of weather as I much prefer crisp clear cold weather to grey, dreary and damp. It’s actually quite cool here for the time of year (like low 20s maximum) but rainy and humid (not typical Perth) and I find that feels worse than when it’s hotter and drier. Poor Mlle can’t sunbathe or go to the beach at present so not what she was hoping for! Things may improve all being well! Enjoy the markets and the festive season! It is a riot of colour, smells and tastes – just my kind of place!! It’s a wonderful place to wander Hilary – so much to see and loads of atmosphere. Joy, the Christmas market looks fabulous. I have always thought of going to Germany for their markets, but looks like Manchester is also wonderful! 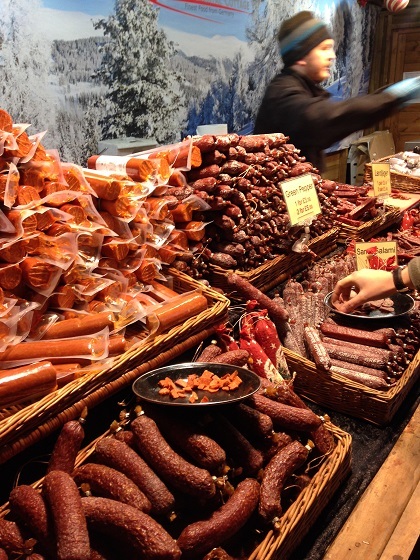 We’re very lucky here to have these markets Pam, it’s been years since we’ve visited the markets in Germany, we don’t need to anymore – they come to us now! So much to see and so much delicious food to try!! This looks totally amazing! I would love to wander through there but definitely not on a weekend! We have visited again on a Friday afternoon – a completely different experience, still busy just not a sea of people. Hopefully we can squeeze in a couple more trips before they end, it is a lovely thing to do in the run up to Christmas. Edinburgh has a growing Christmas market and I agree, Saturday is definitely to be avoided, but great the rest of the time. 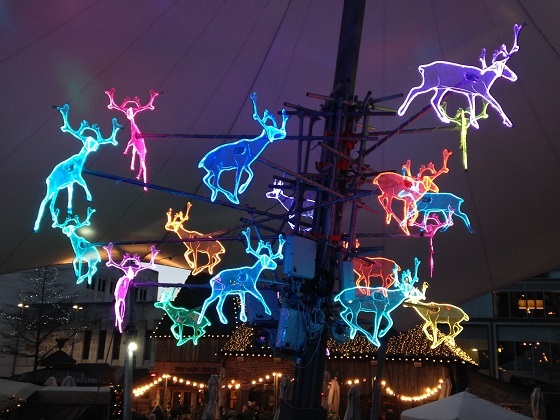 Love your photos, particularly the reindeer lights. It’s so lovely that you can live almost anywhere in the UK now and be close to a Christmas market! I imagine the market in Edinburgh must be wonderful – such a beautiful setting. It’s great, things begin to feel properly Christmassy after a visit. I actually posted about Edinburgh’s market today if you’re interested in seeing what it looks like! Absolutely – going to take a look now! They really are wonderful George, a special experience that sets the tone for the festive season with all the twinkly lights and gorgeous wares on offer. It’s the food that gets me though…. every time! 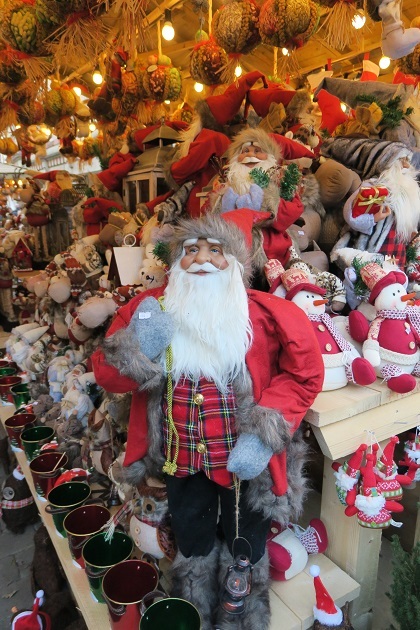 The markets here are superb – I think they compare favourably with the real German markets. Too many people here too though – especially on the weekends. If you do ever visit, a weekday is such a better option.